Ramadan Timetable 2015- When is Ramadan Starting in year 2015? When is Ramadan Starting in year 2016? 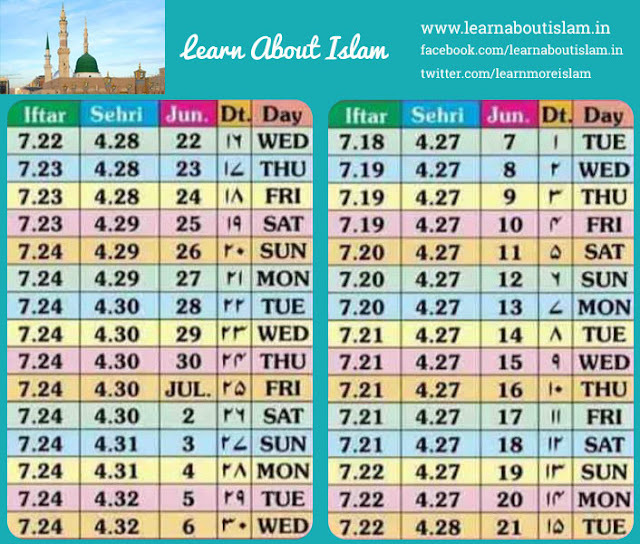 Ramadan or Ramazan is Starting on 7th of June (Friday). The Fasting is observed for 30 days which will end 6th of July. On 7th of July Eid ul Fitr will be observed in celebration of completing of 30 days of fasting. Ramadan is the month of the Qur'an as well as the month of all good deeds. A Muslim is recommended to read the Qur'an and do good deeds in this blessed month as much as he can.